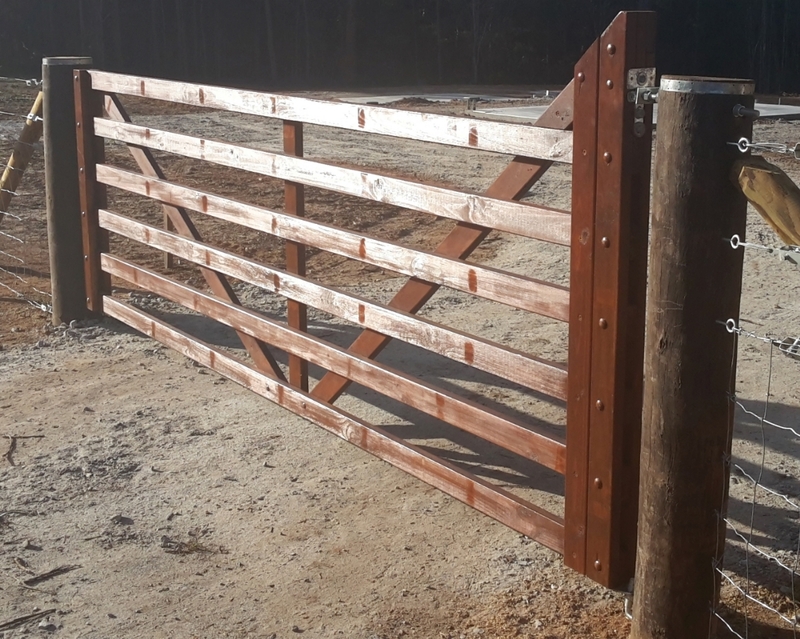 A farm gate is the first thing seen upon entry to a property and wooden gates have a far greater appeal than the rural galvanised tube gates that are everywhere now. Wood fence gates come in many shapes and forms so I looked into farm gate design through google images. I really liked the Yeoman style that has a taller stile giving a greater cross-member rail. They are called many names in fact: Yeoman, Cape Cod, Heel and even a Kiwi farm gate! 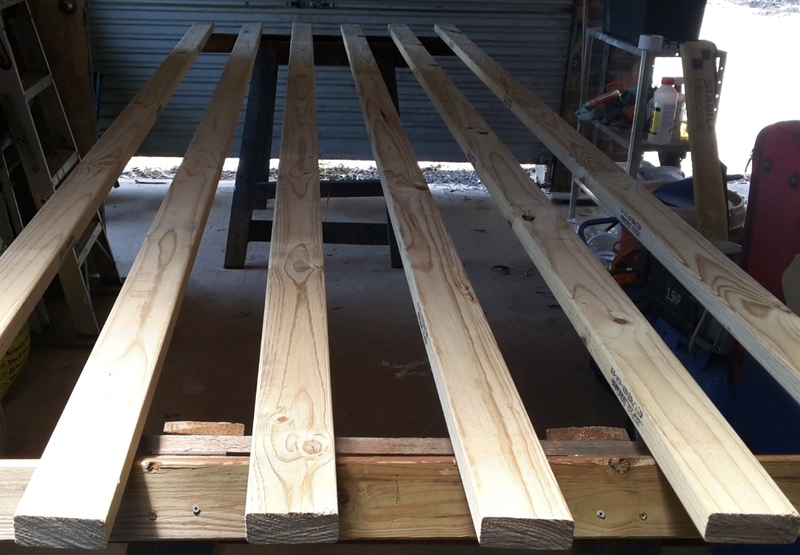 I needed this fence gate to be 1400 mm high from the ground with a 100 mm gap at the base so 1300 mm was the gate height and 3800 mm was the gate length. To get that size using the pine I wanted to use, it needed to be a six rail farm gate. 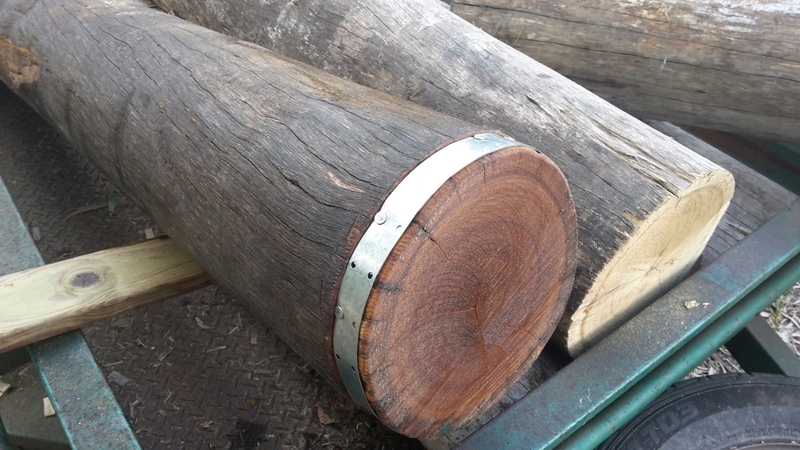 I wanted a four metre entrance so had some aged blackbutt posts cut at the local sawmill, dropped into one metre deep holes exactly four metres apart (inside measurement). 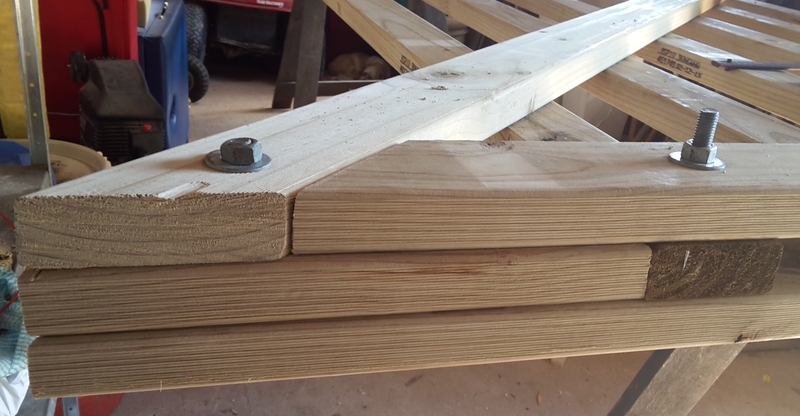 The posts tops were trimmed, oiled and capped with slotted gal strap. I set up a couple of wide trestles and made sure they were square and parallel. 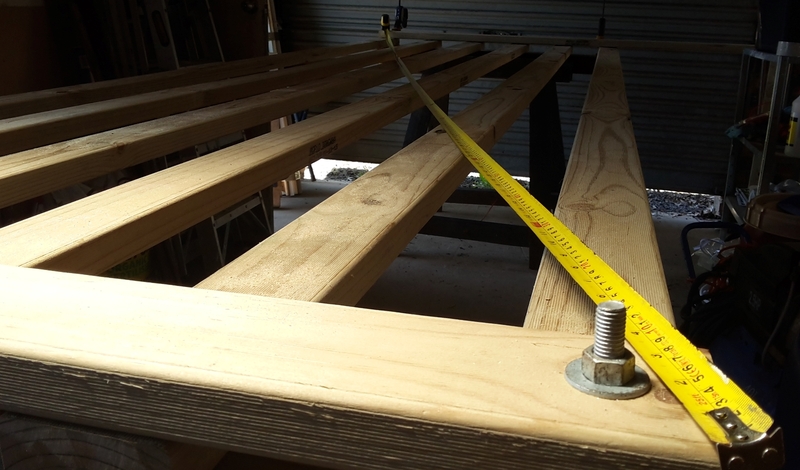 I cut six rails at 3800 mm and spaced them on the trestles to be the required 1300 mm. For the 'stile' end I cut two lengths at 1600 mm and for the closer end I cut two lengths at 1300 mm. Making it square was pretty easy: measuring then evening the diagonals. 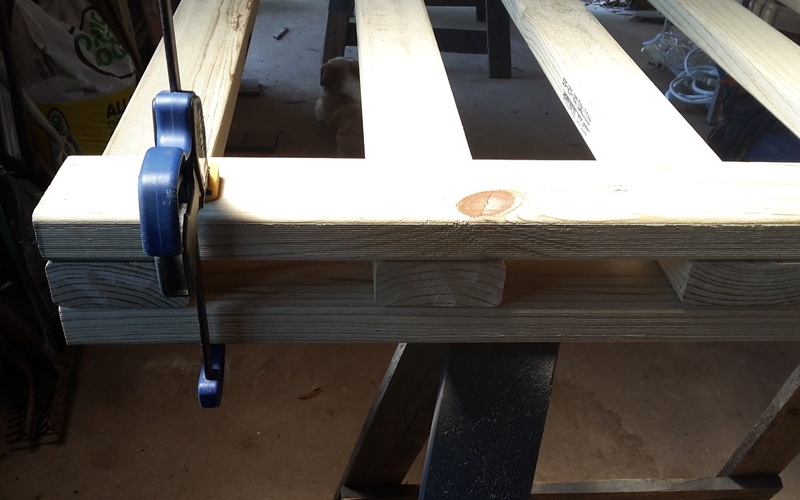 I clamped, drilled and temp bolted the outside rails to the double uprights. I then cut a diagonal to reach from the top of the high stile down to the middle of the lowest rail, and also another to go from that point to the high point on the closer rail. I cut one more upright to go up the centre of the gate. 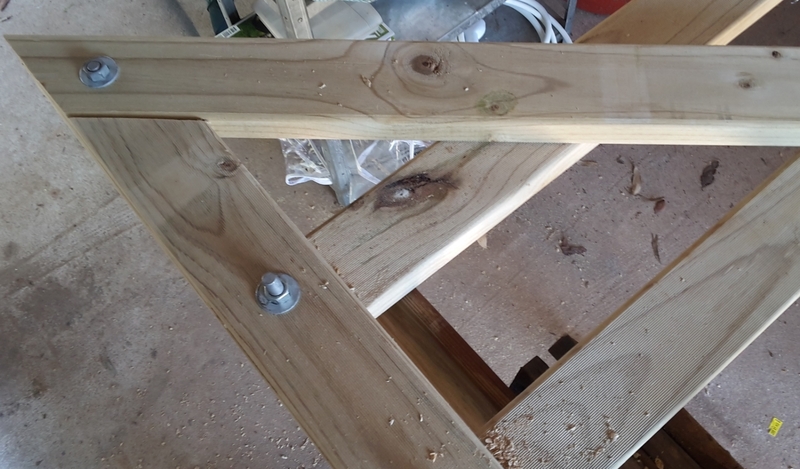 I bolted the large diagonal then cut it off square at the base rail and at a 45 degree angle on the top of the stile, and added a support block. 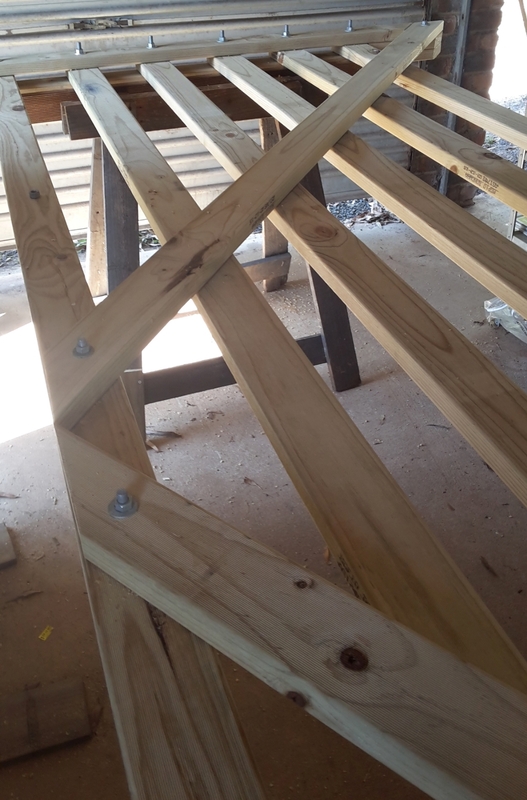 I continued to bolt up all the rails and used bugle screws down the diagonals. 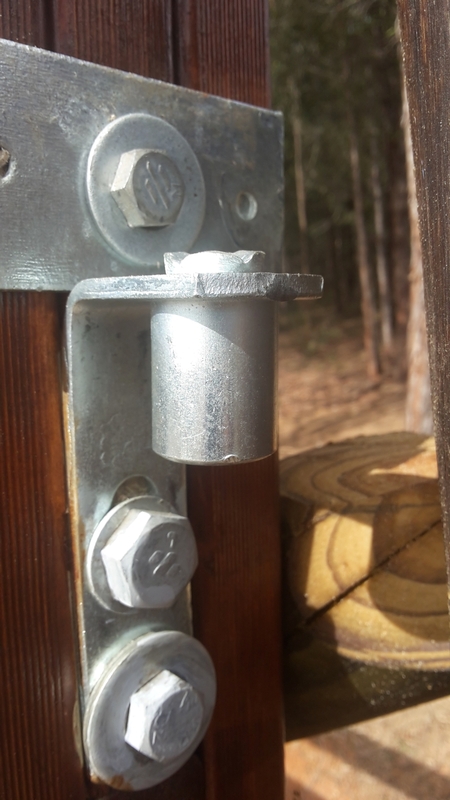 I purchased a farm gate hinge kit from the local rural store and set about adapting it to my gate structure. Two coats of wood stain gave a dark red/brown look to this yeoman farm gate.